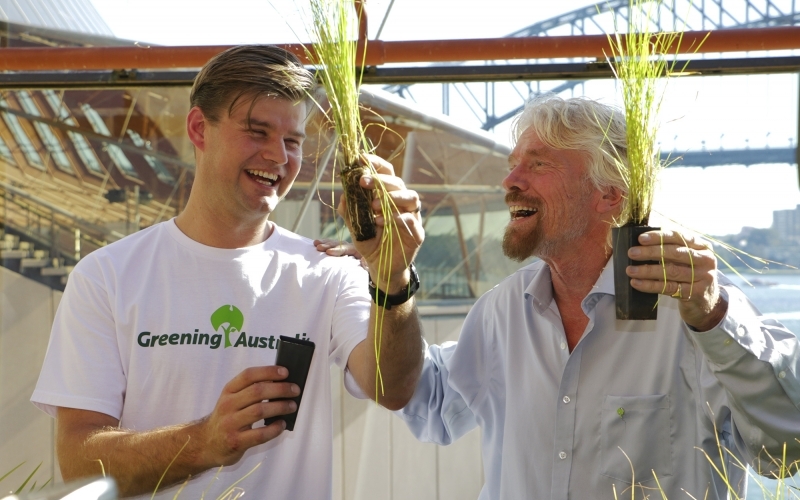 Virgin Group founder and passionate environmentalist, Sir Richard Branson, joined the Chairman of Greening Australia, Gordon Davis, to launch the partnership and call on all Australians to get behind Reef Aid and help save one of Australia’s most precious icons. Sir Richard Branson said: “I have long been passionate about the health of the ocean, having spent many hours in and amongst its waves, particularly in Australia. 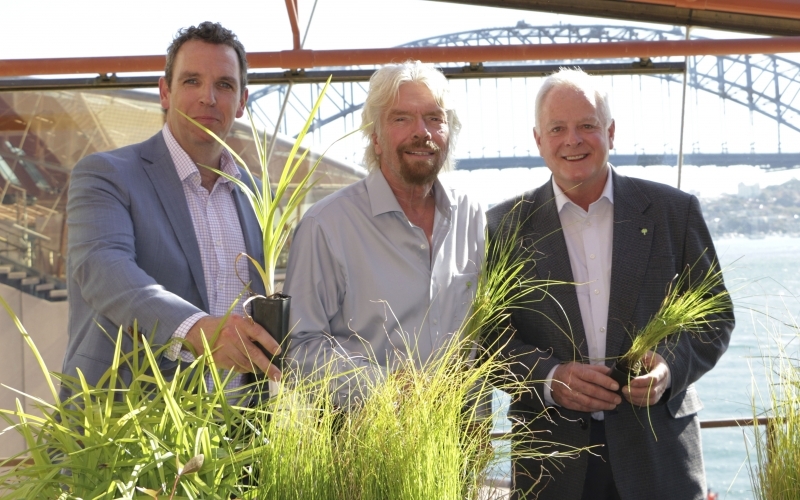 “Like me, Virgin Australia is passionate about doing what we can to help save one of the most complex and beautiful natural systems on earth, the Great Barrier Reef. 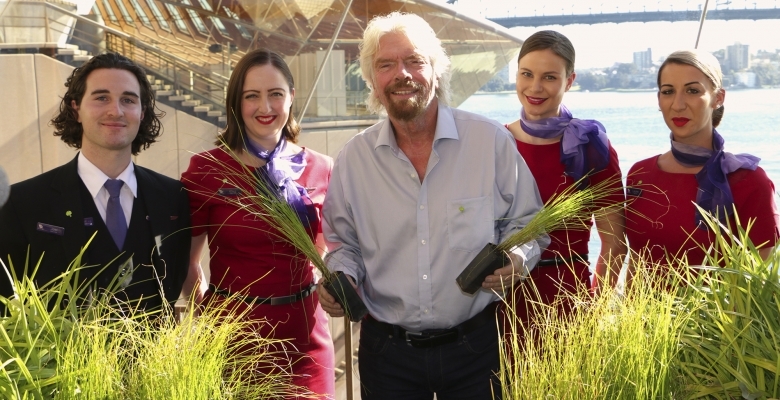 On 8 June, Virgin Australia will mark World Oceans Day by fundraising at its major ports while pilots will raise awareness of the issue with on-board announcements on flights over the Great Barrier Reef. Chairman of Greening Australia, Mr Davis said over the last 150 years land clearance had created deep eroding gullies – some over 10 meters deep – in the Great Barrier Reef catchments. “When it rains, plumes of sediment, pesticides and nutrients flow from land onto the Reef, choking fish and coral, creating algal blooms and weakening the marine ecosystem,” Mr Davis said. “Landholders are doing their best, but once it starts raining it’s impossible to stop the gullies eroding and sediment rushing onto the Reef. To retain its world heritage status and meet the targets set in the Australian Government’s Reef 2050 Plan, the amount of sediment flowing onto the Great Barrier Reef must be reduced by 50 per cent by 2025. Reef Aid will make a significant contribution to this target. “It’s been scientifically proven that the restoration techniques we intend to use can reduce the sediment being released from the eroding gullies by up to 75 per cent,” Mr Davis said. • ‘Hands on’ support from Virgin Australia staff as part of the Coastal Wetland team volunteering group. To donate or learn more, the public are encouraged to visit www.greeningaustralia.org.au and to use #reefaid on social media to pledge their support. • Every year 1.4 million tonnes of fine sediment along with trapped agricultural chemicals and fertilisers pour into the Great Barrier Reef due to erosion from over clearing in the Great Barrier Reef Catchment. • More than two million domestic and international visitors visit the Great Barrier Reef every year who contribute $5.2 billion to the Australian economy and support the employment of 68,000 people. • Virgin Australia operates 500 flights per week to and from Great Barrier Reef gateway destinations including Bundaberg, Cairns, Gladstone, Hamilton Island, Mackay, Townsville, Proserpine (Whitsunday Coast) and Rockhampton. • Virgin Australia was the first airline in the world to establish a government-certified airline carbon offset program in 2007. • Together with alliance partner Air New Zealand, Virgin Australia is currently investigating options for locally produced aviation biofuel, with a Request for Information issued to the market in March 2016.